As Fall quickly approaches in Northern Virginia, the leaves on the trees will start changing colors. And soon after that, they will begin to fall from the trees and cover the ground, the streets and even clog your gutters. As a homeowner, it is important that your gutter system stays clear of debris, so that it can properly do its job. So, when the leaves start to clog up your gutters, that’s when you should get outside and take care of them. If you don’t have a large budget to work with, one of the cheapest and easiest things you can do is to regularly clean out your gutters. 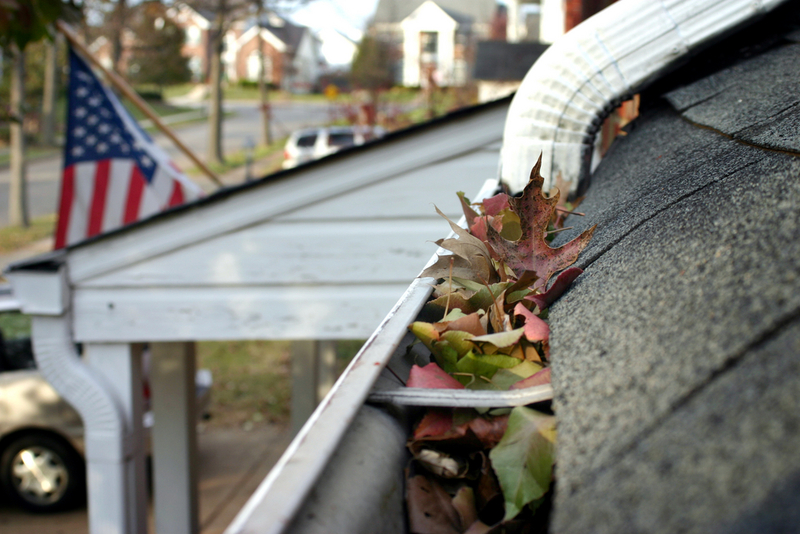 You should check your gutters for any debris (not just leaves) often, to see if you need to get up on your roof. If you do spot debris, you should remove it as soon as possible. Another cheap preventive measure is to prune any trees surrounding your house. If you have branches that are hanging over the roof or that are particularly close to it, you are at risk of the leaves ending up in your gutters. You should either safely remove the branches or hire a professional to take care of them for you. Finally, if you do have a few extra bucks to spare, there is one way you can prevent leaves from falling in your gutters. Gutter covers can ensure that leaves, sticks and other debris do not enter your gutter system. If you’re interested in installing gutters with covers, give MidAtlantic Contracting a call today to find out your options!